When you’re in the depths of a west coast winter and the weekends are drizzly and grey and you’re indulging yourself in some well-deserved downtime (maybe an hour or two as the laundry does it’s thing, or as you catch up on some reading) sometimes you just want a little something to have with tea in the afternoon. Something that’s quick to make, low maintenance and gives you a high return on your minimal effort. Something sweet but not cloying that doesn’t make you feel like you have started your week in a nutritional deficit. Something just … right. While most of North America tunes into the Super Bowl today, our household (a distinctly non-football-watching household) is enjoying the peace and quiet of a catch-up Sunday, as we all catch up on things from the week. Laundry will be done, beds will be changed, a Sunday dinner will be leisurely constructed throughout the afternoon. But in the middle of these low-impact activities there will be a short tea-time reprieve with this humble loaf. 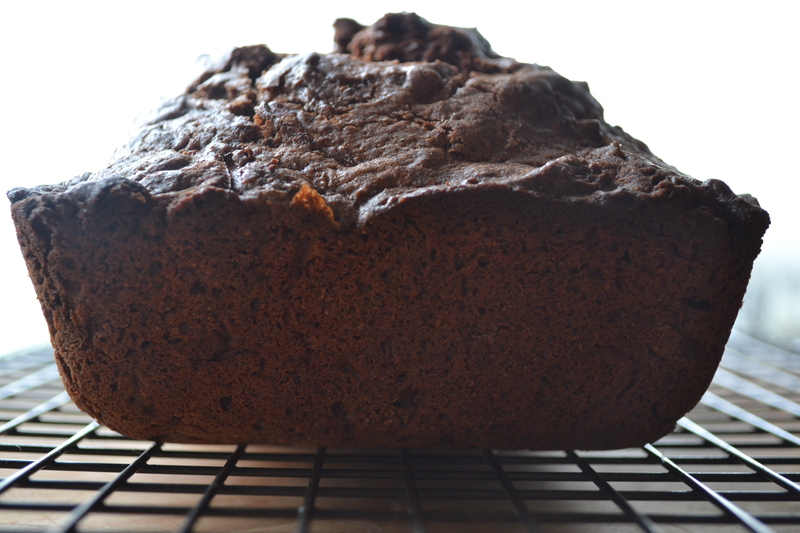 Chocolate zucchini loaf is often a delicious result of a late summer bumper crop of zucchini. If you have ever grown zucchini you will understand because if their growing conditions are right, they will yield like almost no other vegetable and you will be up to your ears in zucchini. So here it is, February, and obviously we are not faced with a zucchini surplus. However we almost always have some in the fridge because it is a well loved and oft used veggie in our house. When the itch for something for tea struck, my mind went almost immediately to the small, tender zucchini in the crisper drawer. If you have never had it and are dubious about the combination, don’t be. 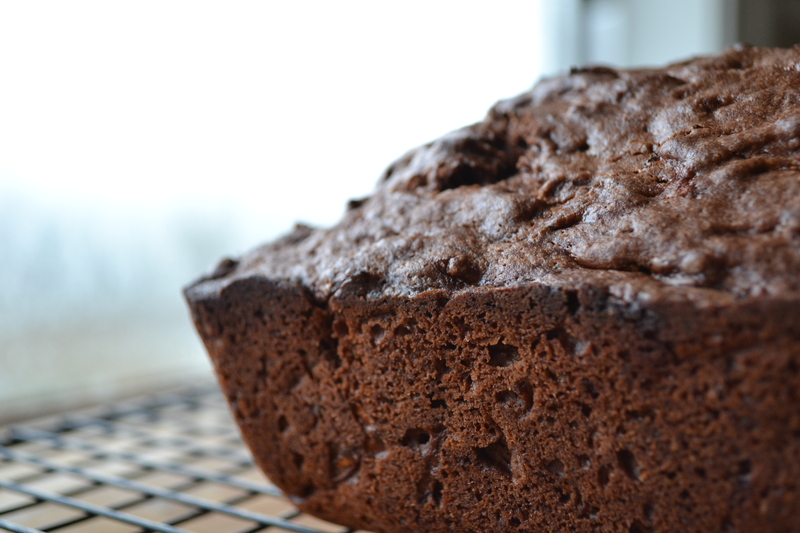 The chocolate is the star and the zucchini adds unparalleled moistness and cooks away almost to invisibility. 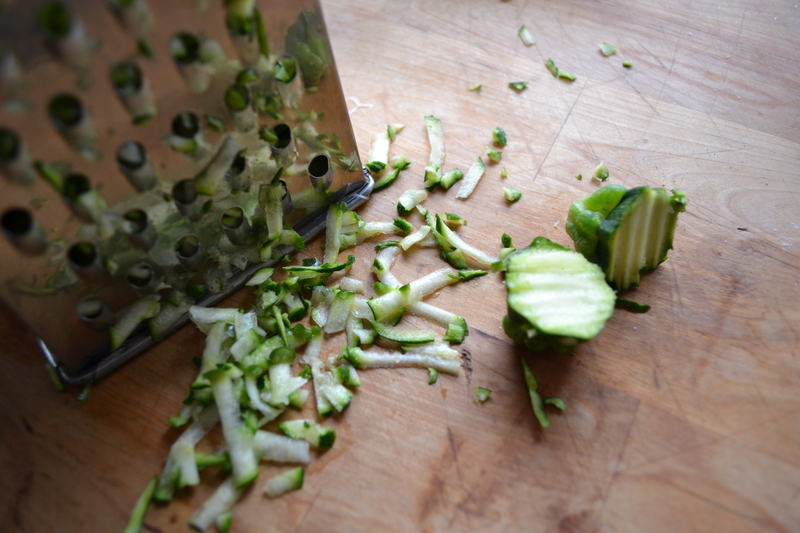 Grate the zucchini and set aside. 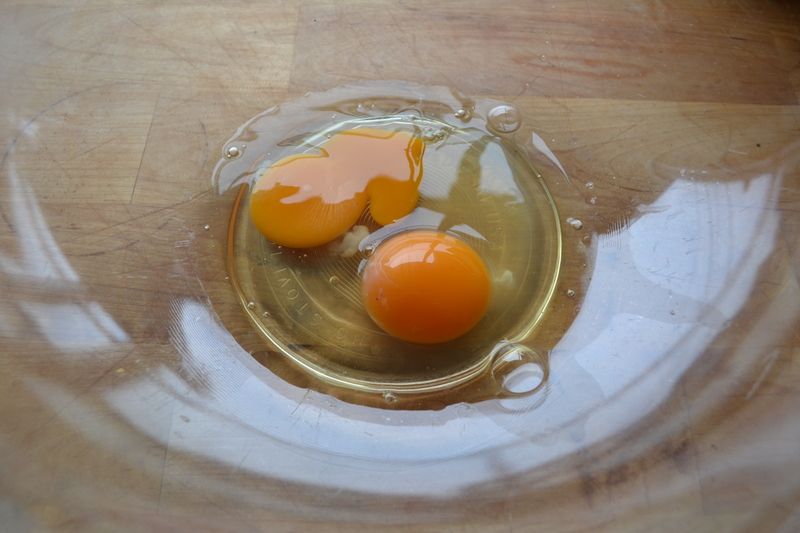 In a large bowl, beat eggs with a fork until well scrambled. 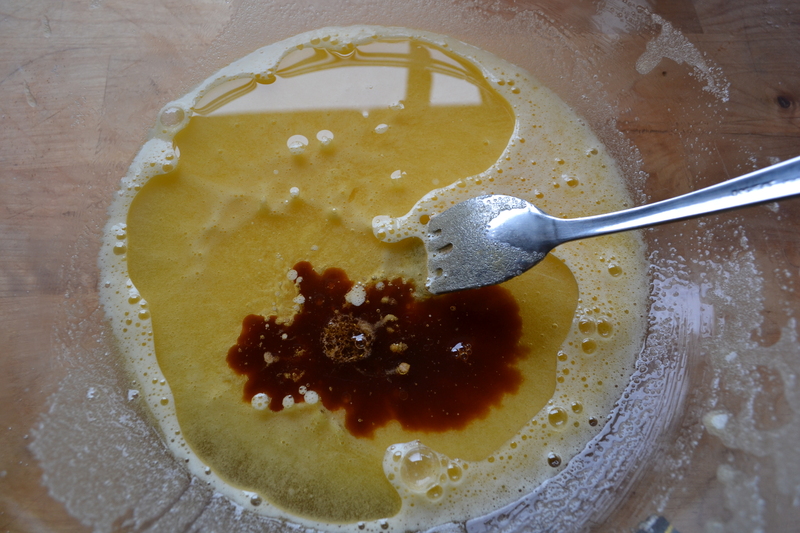 Add the sugar, whisk with a fork until well combined. Add vanilla and oil. Mix thoroughly. Add the zucchini to the wet ingredients and stir to incorporate. Add the dry ingredients, all at once, to the wet. 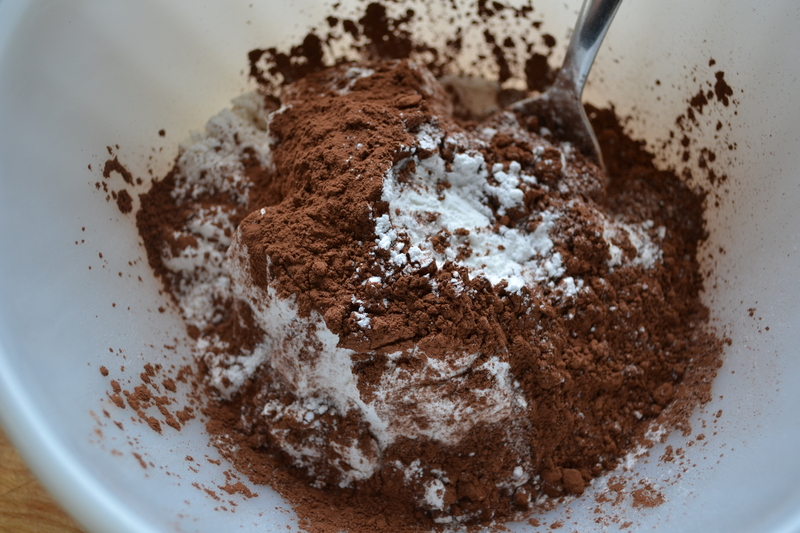 Mix together with as few strokes as possible until the mixture is wet, but not over-mixed. Scrape into a well greased loaf pan and bake at 375 degrees for 55 minutes. To test, insert a skewer or toothpick in the center. If it comes out clean, it’s done. Allow the loaf to cool for 5 mins in the pan on a wore rack, then invert out of the pan and allow to cool completely on the rack before slicing and serving.